Grout and adhesives offered by us. Need to tile a wall, replace tile adhesive grout, or lay a new floor. We have a range of quality tile adhesives and grouts in different colours and sizes to meet your needs. 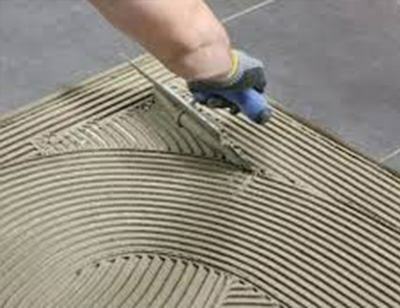 Multi-use flexible joint grout especially for fully vitrified tiles and vitrified tiles. Flexible, fast setting, cementitous mortar for grouting ceramic floor or wall finishing materials and for glass floors and walls exposed to heavy mechanical load stresses caused by changes of temperature. Destinated for balconies, terraces and facades, for stone tiles resistant for discolouration. Class CG2WA according to EN 13888.
is a universal highly flexible tile adhesive for all kind of ground and ceramic or glass finish materials. Besides bathroom, it can be used on balconies, terraces, facades and swimming pools as well. Also PCI Nanolight can be used as leveller by filling mineral substrate in range 1-15mm. The biggest advantage of PCI Nanolight is its bond strength and curing time - tiles are walkable after approx. 8 hours. After application, tiles can be laid up to 90 minutes. Also, PCI Nanolight can be used to repair and level irregular wall and floor surfaces before laying tiles. is an elastic joint sealant based on acetic acid for flexible jointing of ceramic and glass materials. Also to filling joints between those substates and other building elements. To use indoor and outdoor application, starting at walls and floor in bathroom, ending with swimming pools. PCI Silcofug E biggest advantage is its versatility (can be used with many types of finish material, e.g. glass, ceramic, linoleum, stainless steel, etc.) and curing time - 2mm per day. Maximum joint width can be up to 30mm. The tanking kit is used in rooms exposed to moisture, in order to water-insulate the surfaces on which ceramic plates will be laid. It is recommended in spaces requiring high-level waterproof protection due to increased moisture (e.g. in showers, bathrooms, toilets, laundries, kitchens etc.). Water insulation may be used on any type of surface: gypsum-board walls, plastered walls, walls made of gas-concrete blocks, wood-based materials, old ceramic facings, old stone facings, etc. Chat started. Session ID: 1556250708. You are now connected to: David M.